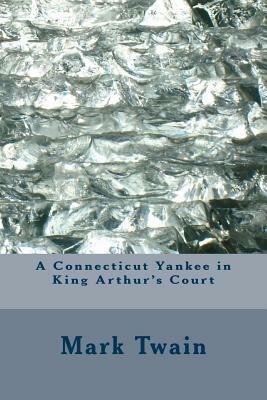 In Mark Twain's 1889 novel A Connecticut Yankee in King Arthur's Court, Hank Morgan awakes from a blow to the head only to find that he has been mysteriously transported back in time. It is early medieval England, the time of King Arthur and Hank is taken to the Camelot castle by a Knight of the King's. Ridiculed for his funny manner and dress sense, and sentenced to burn at the stake, Hank recovers through an incredible stroke of luck, and in doing so convinces the superstitious King and his subjects that he possesses great powers. Samuel Langhorne Clemens, better known by his pen name Mark Twain, was an American writer, humorist, entrepreneur, publisher, and lecturer.